Chapel Grove, LABEL & CO’s newest boutique townhome community tucked into the heart of the family friendly Chapel Trail neighborhood, is an intimate collection of only 125 remarkably priced, two-and-three story contemporary Mediterranean-inspired townhomes, designed for the way your family lives. 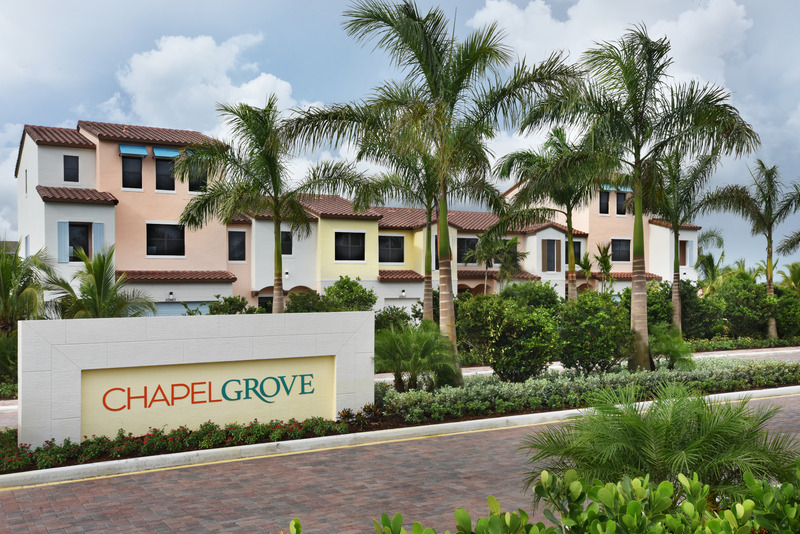 Here at Chapel Grove, high-quality construction, cutting edge design, exceptional value, top-notch community amenities and a convenient location merge to create the next great community in Pembroke Pines! Chapel Grove offers 5 newly designed, wide-open models to fit any family – including a 4 bedroom, multi-generational model with two, master bedroom suites! Each Chapel Grove townhome features generous designer-style kitchens opening into light-filled family living/entertainment spaces, included luxury appointments and backyards with covered patios. Relax around Chapel Grove’s resort-style pool. Work out in our state-of-the-art fitness center. Stroll the lushly landscaped amenity walkway. Join a pick up game of half-court basketball - or watch your kids play on our shaded playground. Enjoy the quiet and security of living in a secluded, gated community – with the convenience of A-rated public schools, shopping, restaurants, sports parks, nature preserve, medical facilities and major highways minutes from your door! At Chapel Grove, it’s all right here…in your own backyard!